The Rival Falls has two cascades separated by a plunge pool 60ft (18m) below, this pool is known locally as Black Hole and is believed to be 80ft deep. 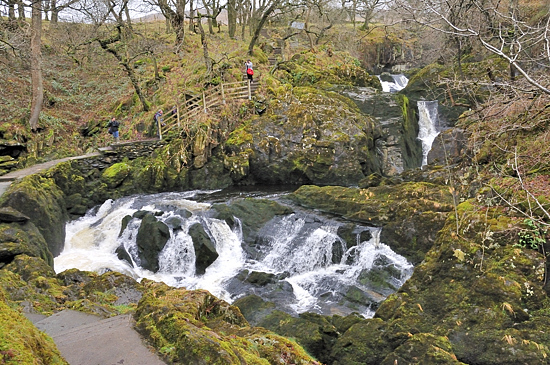 The lower cascade usually separates into two falls either side of a rocky knobble. When you approach the falls the footpath is above them and then it runs steeply down via steps and over tree route and rocky uneven ground into Baxenghyll Gorge. Waterfall on trail before is Triple Spout going clockwise.